Enter location address and country, click search. Location should appear on the list. If it didn't try a similiar search. Select device from the list, and below locations list, select a device. 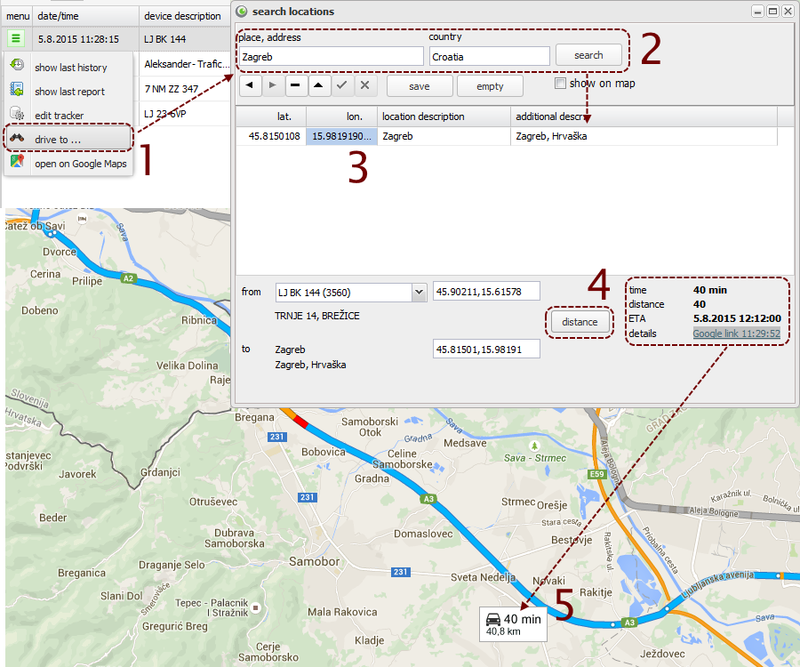 Click "distance" button to calculate distance (data will show up on the right). 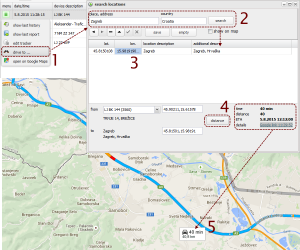 Click Google link to see route details in Google Maps service.